Shop online for over 200 mini-art plastic models at discounts up to 63%. Figures is the most popular of the 6 mini-art plastic models categories, then Dioramas, and Cars / Trucks / Vehicles. 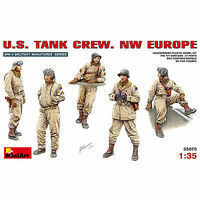 This is the 1/35 Scale US Tank Crew NW Europe Plastic Model Kit from the MiniArt WWII Military Miniatures Series. Suitable for Ages 14 & Up. 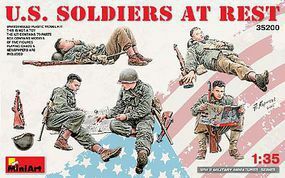 This is the 1/35 Scale US Soldiers at Rest from the WWII Military Miniatures Series by MiniArt. Suitable for Ages 14 & Older. 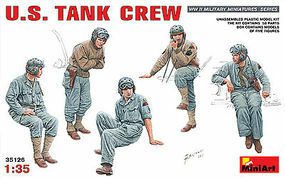 This is the 1/35 Scale US Tank Crew from the WWII Military Miniatures Series by MiniArt. Suitable for Ages 14 & Up. 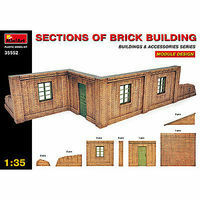 This is the 1/35 Scale Sections of Brick Building from the Building and Accessories Series by MiniArt. Suitable for Ages 14 & Up. 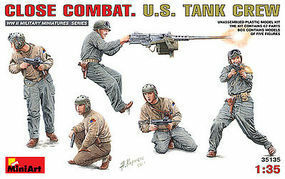 This is the 1/35 Scale Close Combat US Tank Crew from the WWII Military Miniatures Series by MiniArt. Suitable for Ages 14 & Up. 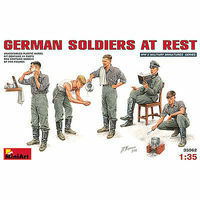 This is the 1/35 Scale German Soldiers at Rest from the WWII Military Miniatures Series by MiniArt. Suitable for Ages 14 & Up. 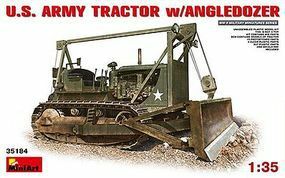 This is the 1/35 Scale US Army Tractor with Angled Dozer Blade from the WWII Military Miniatures Series by MiniArt. Suitable for Ages 14 & Older. 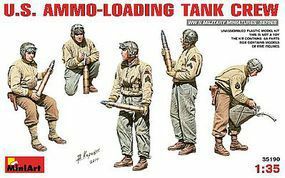 This is the 1/35 Scale US Ammo-Loading Tank Crew (5) (New Tool) Plastic Model Military Figure Kit by Mini-Art. Suitable for Ages 14 & Older. This is the 1/35 Scale US Army Bulldozer from the WWII Military Miniatures Series by MiniArt. Suitable for Ages 14 & Older. This is the 1/35 scale German Tank Repair Crew from MiniArt. This is the 1/35 Scale British Soldiers Tank Riders Plastic Model Kit from the MiniArt WWII Military Miniatures Series. Suitable for Ages 14 & Up. This is the 1/35 Scale British Tank Crew Plastic Model Kit from the MiniArt WWII Military Miniatures Series. Suitable for Ages 14 & Up. This is the 1/35 Scale German artillery Crew Riders Plastic Model Kit from the MiniArt WWII Military Miniatures Series. Suitable for Ages 14 & Up. This is the 1/35 Scale German SPG Crew Riders from the MiniArt WWII Military Miniatures Series. Suitable for Ages 14 to Adult. This is the 1/35 Scale World War II Drivers from the WWII Military Miniatures Series by MiniArt. Suitable for Ages 14 & Up. This is the 1/35 Scale US Officers (5) Plastic Model Military Figure Kit by Mini-Art. Suitable for Ages 14 & Older. This is the 1/35 Scale Village Road Section from the Dioramas Series by MiniArt. Suitable for Ages 14 & Up. This is the 1/35 Scale WWII German Tank Crew Winter Uniforms (5) with Weapons (Special Edition) Plastic Model Military Figure Kit by Mini-Art. Suitable for Ages 14 & Older. This is the 1/35 Scale Cobblestone Section with Street Acessories from the Dioramas Series by MiniArt. Suitable for Ages 14 & Up.